The Relegation gauntlet has begun, with just three teams in total able to reach the holy grail of MDL next season. 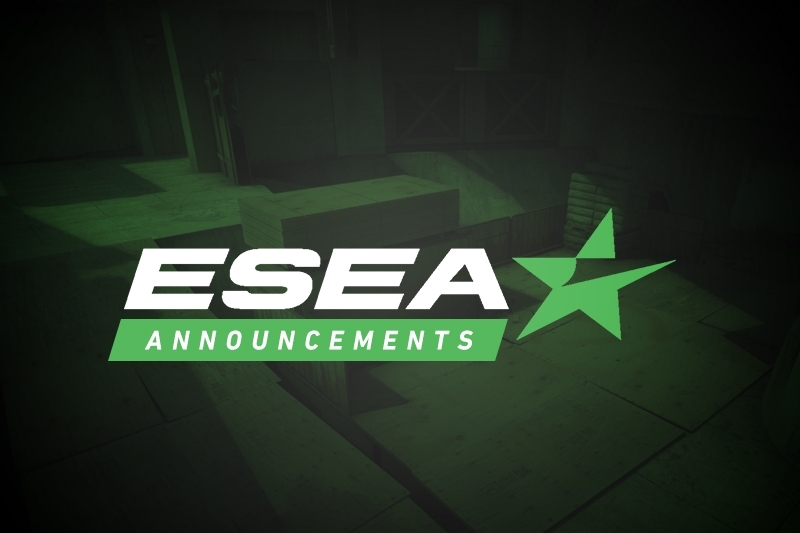 The ESEA MDL Season 29 Relegation tournament has begun, with eight teams all vying for three spaces in next season's MDL division. Of the four matches played, all of them went the full three maps, indicating a evenly matched between the MDL and Advanced teams. 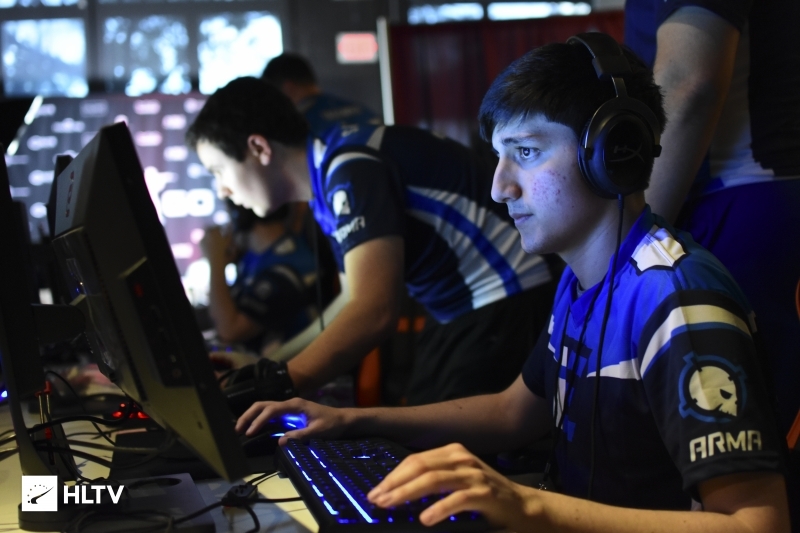 The first match to finish up last night was between FURIA and ETHEREAL, with the two playing on Mirage, Overpass and Train. Mirage opened with ETHEREAL picking up the pistol and following anti-eco before FURIA matched the score in the next two rounds. Truth be told no-one was really in control of the first half, but it was Corey "flashstep" Parks and co. who came out on top with a 9-6 score line. The second half began strong for ETHEREAL and continued that way until the end, dropping just three rounds in the second half as they sailed to a 16-9 victory on the opening map. Overpass followed, and it was a change in form for FURIA as they stormed the first half; the Brazilians sandwiched ETHEREAL's three rounds in the middle of the half with a flawless five at the beginning and six at the end to take them into a 12-3 lead at the break, with Yuri "yuurih" Santos on fire for his team where he'd eventually finish the map with a 1.96 rating. The second half started off with an ETHEREAL pistol round, before FURIA eco'd their opponents and raced off to map point and eventually the win at 16-5. Sent to the decider of Train, ETHEREAL started the map off strong with the pistol and two following anti-eco rounds, but that would be where their lead would end. The next seven rounds went to Kaike "kscerato" Cerato and co. as they stormed to a lead which would eventually become 10-5 at the break. A relatively strong start for ETHEREAL, which narrowed the gap to 11-9, wouldn't be enough for the Americans as six rounds later they'd be sent to the lower bracket with a 16-9 scoreline. The Fundamentals faced Vault in the next Relegation match, with the two playing on Cache, Overpass and Inferno. Cache opened with The Fundamentals taking the first two rounds, before the Colombian-core of Vault stormed in and secured the next eight rounds of the first half. The end of the first half was more even, but it was still Vault going in as 9-6 leaders. The second half was a seven round blowout for Vault, as they cruised to a first map 16-6 victory. Overpass followed, and the map was effectively a mirror image of the previous one. Toryon "KLUMZ" Kelley and co. started with the pistol round, and after allowing Vault to have a small jaunt immediately afterwards, they pushed on to claim two four round runs to take a 9-6 lead in the half. The second half was another blowout, this time in favor of The Fundamentals, seeing them take seven clean rounds as they evened the match. Inferno, the decider, started off strong for The Fundamentals, taking seven of the first eight rounds. It instantly flipped in the second portion of the first half, with Vault taking six of the final seven rounds, meaning The Fundamentals were only narrowly 8-7 ahead at the break. The second half started as if Vault were going to head on and take the series, with Andres "spamzzy1" Correa finishing with a 1.31 rating as Vault claimed a 13-10 lead. But from then Jake 'theTRUTH' Hass proved he was going to finish higher, on a 1.48 rating, as The Fundamentals took the final six rounds of the map to secure the series with a 16-13 win. Big Frames and Final Feature had the closest of the four quarterfinals, with the two teams facing off on Inferno, Dust2 and Mirage. Inferno began with Final Feature taking the first three rounds of the half, before the two teams effectively cancelled each other out, tying at 7-7 before Jonah "JonahP" Pulice helped put his team narrowly ahead at 8-7. The second half started off with Final Feature, once again, taking the pistol round and following anti-eco, before Big Frames answered back in the third and fourth rounds. The two teams then matched themselves fairly evenly, even drawing at 14-14 at one point. Andy "devastation" Parr and co. knew where to stick the final rounds, with Big Frames taking a 16-14 win. Dust 2 looked to be one that wasn't going to finish in an overtime, as Final Feature came out of the gates and secured the first six rounds without reply. Although Big Frames secured three rounds in a row in the middle of the half, they were unable to properly capitalize on such wins as Colton "BASE" Musella and co. would take the half 10-5. The second half started off with Final Feature taking the first three rounds, before all hell broke loose with Anthony "Nervous" Boring helping the Big Framed lads to a nine-round run as they took a narrow 14-13 lead. The end of the half was moderately scrappy, as Final Feature secured map point before Big Frames took the final round of regulation to force overtime, which ended 4-2 in favor of BASE and co. for a 19-17 win. Mirage was the finale, and once again Final Feature got the good start, with the first three rounds of the half. Once again, the two teams matched up relatively evenly with neither really taking a lead past the mid-point of the half. It would be Big Frames, however, who'd take a narrow one-round lead at the end of the half. The second half started off with a Big Frames pistol and anti-eco round, before Final Feature evened the map up once again with three rounds of their own for a 10-10 and then 11-11 scoreline. But from there, it would be five rounds for victory as Yan "PRDTR" Davtian reached 30 kills for a 16-11 win. The final match to conclude was between ex-Velocity and Masked, with the two teams playing Nuke, Mirage and Cache to decide who'd head through to the remainder of the upper bracket. Nuke began, and ended, with strong display of ex-Velocity, who started on the CT-side. Eleven of the first twelve rounds went their way as they had a strong 13-2 half. The second half was similar in strength, although Lucas "Fiziq" Blow and co. had to come back from dropping the second round to eventually take a 16-5 win. Mirage was a map of two halves, one close and one strong. Masked opened the map with the five of the first six rounds, before ex-Velocity had a four round spell in the middle to even it up at 5-5. The end of the half remained relatively close, but it would be Masked going in with a narrow 8-7 lead. The second half was dominant for Masked, only dropping one round as they secured a 15-8 map point lead. From there Joshua "Hunter" Madore and co. would need to wait one more round before taking it 16-9. The decider of Cache saw both teams have strong halves. Although Masked opened the first half up with four rounds, it'd be ex-Velocity who'd have the lion's share of winning, taking eight rounds in a row in the middle of the half to guarantee a lead. The final three rounds were ping-pong, but it still meant they had a small 9-6 lead at the break. 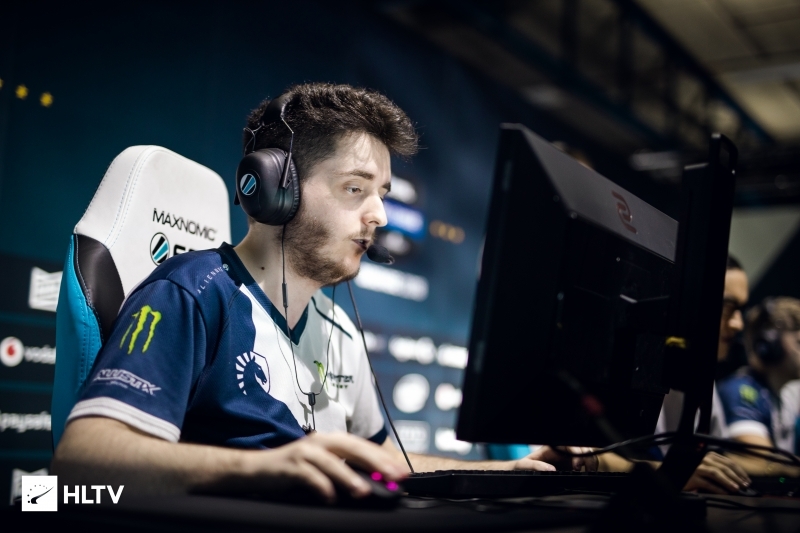 The second half turned the map on it's head, with Masked winning seven rounds in a row on their T-side to claim a 13-9 lead. Although ex-Velocity picked up two rounds afterwards to narrow the gap, it wouldn't be enough as Masked won the final three rounds to claim a 16-11 victory. Winning teams in the Upper Bracket Semifinal will secure themselves a spot in next season's ESEA MDL league.